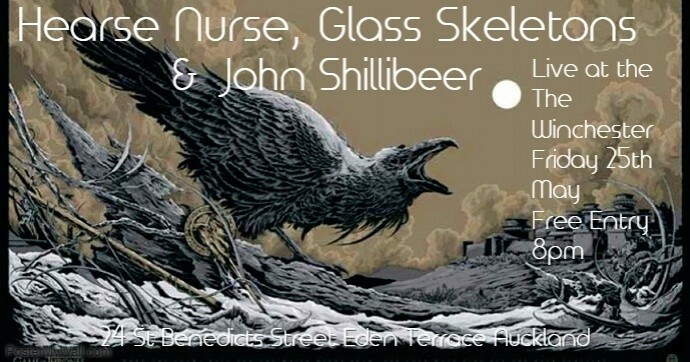 The Winchester Entertainment Presents: Bands: Hearse Nurse, Glass Skeletons and John Shilibeer on stage. Originals Classic Rock style, Enjoy ! Come along, bring your Friends and have a Great time at the Winchester Bar. 24 St.Benedicts street, Eden Terrace. All drinks are at Discounted Club prices. Parking is Free on the right hand side of the building.